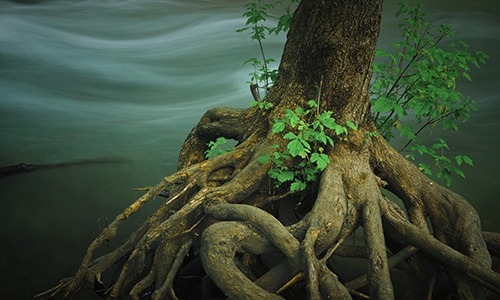 This year's symposium on Safeguarding Water will be held on May 21st, 2019 at the Utah Valley Convention Center. Please register and reserve your seat here, or call LaJean Broberg at 801-226-7100. The New Olmsted Hydroelectric Power Plant was Dedicated on September 19th, 2018. View more details on the Olmsted Hydroelectric Power Plant Replacement Project. The Central Utah Water Conservancy District continues to move forward to provide a safe and secure water supply. View our 2017 Annual Report and see what we are working on! The treatment plant has officially past 2781 consecutive days with water quality below 0.10 NTU. For more information on this achievement, please read the full article. For the second year in a row, Central Utah Water's newest drinking water sources have won the Intermountain Section of the AWWA's Best of Show at the 2016 Water Taste Test. A political subdivision within the State of Utah. Central Utah Water works to conserve water through preparation for the future. 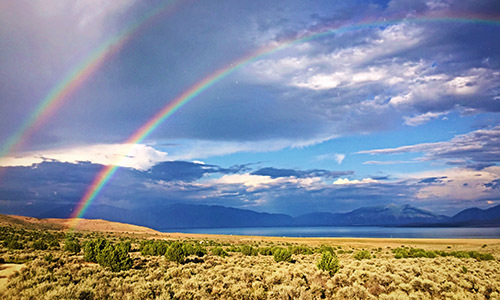 Through its various projects and programs, Central Utah Water strives to live up to its values and serve society. For more details on who we are and an overview of Central Utah Water visit below. Central Utah Water's efforts in water conservation present opportunities for responsible water development. Central Utah Water is continually searching for efficient ways to not only conserve, but also deliver water to the 8 counties in its jurisdiction. Water Conservation is one of the main priorities of Central Utah Water. Through programs, rebates, and information, Central Utah Water tries to better the surrounding communities and educate the citizens about water conservation. One of the main goals of Central Utah Water is to deliver safe, reliable water to its customers. ResourcesA quick look at reservoir data, quick links and information. General InformationQuick access to HR, annual reports, etc. Sealed bids will be received at the office of General Manager of the Central Utah Water Conservancy District, (the “OWNER” of the work), 1426 E 750 N, Suite 400, Orem, Utah 84097, until 10:00 a.m. MST on Tuesday, April 23, 2019, for furnishing plant, materials, and labor and performing all work for construction of the Spanish Fork Santaquin Pipeline – Salem Reach 2 for the Central Utah Water Conservancy District. The award, if made, will be within thirty (30) days after the opening of bids. 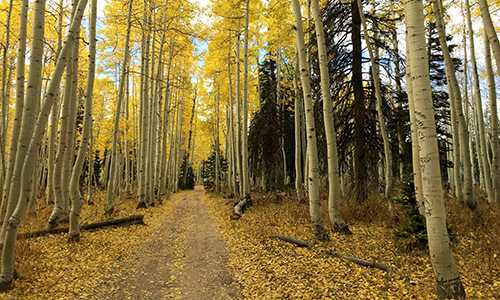 Central Utah Water Conservancy District (District) is soliciting proposals from parties that would be interested in purchasing two parcels deemed surplus to the needs of the District. 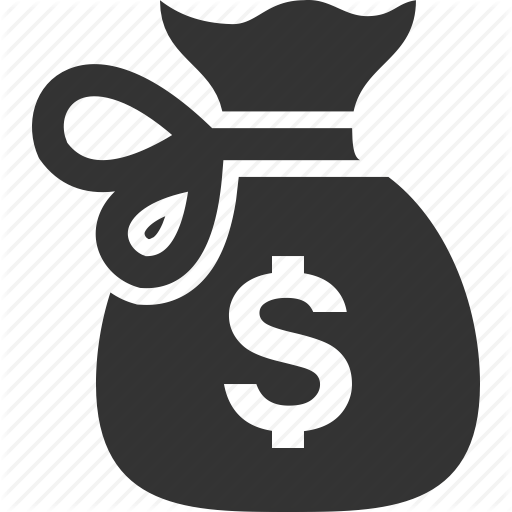 This information package contains information concerning the parcels the District is selling and the process for submitting offers and the purchase of one or both of these parcels, including any associated assets with the properties. Prospective buyers may submit written offers on one or both of parcels in order to be considered. Get the Information Package Here. You may request a District record by completing the Public Request for Records form and returning it to the District's Records Manager. The form is in PDF format and can be printed, filled out and returned to the Records Manager, Chris Calton. December 18th, 2017: DACRWTP Breaks its Own Record! 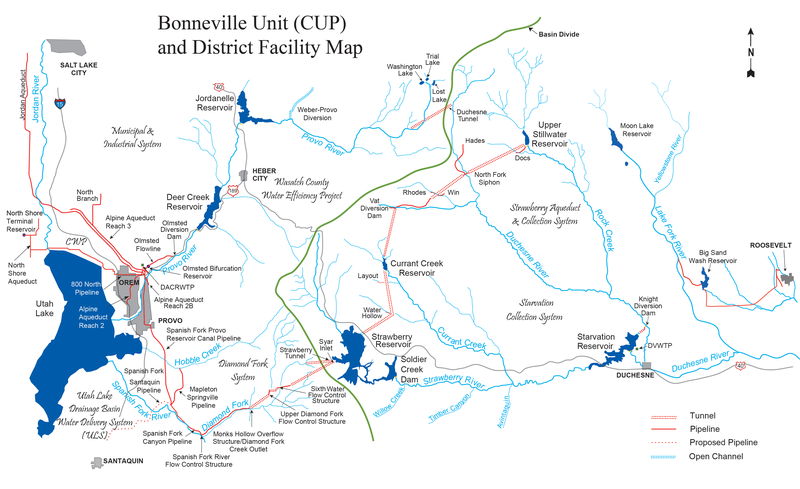 Central Utah Water's primary responsibility is to deliver clean, useable water to our customers by managing the vast CUP and District network of water facilities. Every day we work to maintain and improve those facilities. 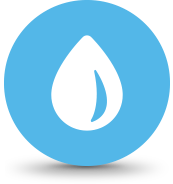 We monitor and track precipitation levels and make decisions on how best to serve current customers and store water for future generations. Central Utah Water is proud of its role in managing the water in its jurisdiction and using technology, intelligence and hard work to ensure the best possible balance for man and nature. Every day we work to maintain and improve our water delivery facilities. We study, monitor and track precipitation levels and make decisions on how to best serve current customers and store water for future generations. We work with larger users on developing ways to use water more efficiently and conduct public outreach activities promoting conservation. We manage three water treament facilities in Utah Valley, Ahsley Valley and Duchesne County and administer the sale of water to our customers. Central Utah Water is proud of its role in managing the water in its jurisdiction and using technology, intelligence and hard work to ensure the best possible balance for man and nature. Gene oversees all the operations of Central Utah Water and sits on multiple state and national committees. Tom leads out in long-term administrative management and asset management. Christine oversees government relations, public information, and public education. David supervises Water Supply Planning, and manages the treatment plants and non-federal facilities. Rich manages Water Supply, Water Rights, and Federal Facilities. Central Utah Water is governed by a board of Trustees representing eight central Utah Counties. The Board of Trustees provides a check and balance between rural and urban representation. 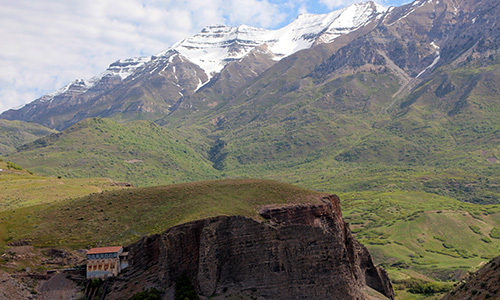 The appointed citizen board governs the affairs of Central Utah Water and establishes policy. G. Wayne Andersen is the Area Supervisor for Utah State University and a member of the Spanish Fork Rodeo Committee. Wayne formerly served as the mayor of Spanish Fork and also served as a member of the Spanish Fork City Council. JR Bird is owner and CEO of several successful businesses. He is currently Mayor of Roosevelt City and is a member of the Roosevelt Rotary Club. JR is also a committee member of the Uintah Basin Chapter of API. Jim Bradley is a Salt Lake County Councilman. He also serves on the Unified Police Department Board, Salt Lake Valley Law Enforcement Service District Board, and the University of Utah Museum of Fine Arts Board. Shelley Brennan has been the Duchesne Deputy County Recorder, Office Manager for the Duchesne County Surveyor, and is currently the County Recorder for Duchesne County. Max Burdick is a member of the Salt Lake County Council, and a Real Estate Broker. He also serves on the Salt Lake County Criminal Justice Advisory Council. Kirk is the Manager/Operator of the Upper Country Water District. He currently serves on the board of Moon Lake Water Users Association. He is a lifetime cattle rancher and businessman. Tom Dolan is the former Mayor of Sandy City. He is currently a member of Envision Utah and Board member of Neuroworx Corporation. Steve Farrell is President of Midway Irrigation Company. Steve also serves on the following boards: Utah Board of Water Resources, Permanent Community Impact Fund Board, and the Chairman of Midway Water Advisory Board. Nathan Ivie is a Utah County Commissioner. A biography will be posted shortly. Al Mansell has been a realtor for 35 years and in 2005 was the president of the National Association of Realtors. Al served on the Utah State Senate for 12 years, leading as Senate President for four. He has served on many boards including Neuroworx and the Utah Opera. Al served as a trustee of Intermountain Healthcare, and is chairman emeritus of the Utah Sports Commission. Al enjoys spending time with his family, golf, tennis as well as other sports. Mike McKee currently serves as the Executive Director of the Seven County Infrastructure Coalition. He is a former Uintah County Commissioner where he served for 14 years. He has also served on the State Community Impact Board. Mike currently serves on the Governor's Energy Advisory Council, Governor's Rural Partnership Board, and the Gardner Policy Institute Advisory Council. Greg McPhie works in electrical wholesale. Additional boards Greg serves on are Jordanelle SSD, Wasatch County SSA, Lake Creek Irrigation and currently sits on the Wasatch City Council. Aimee Winder Newton is a member of the Salt Lake County Council and is a small business owner with expertise in real estate and public relations. She serves on the following boards: Utah Association of Counties, Salt Lake County Library, Jordan River Commission, Prevent Child Abuse Utah, and Chamber West Board of Governors. 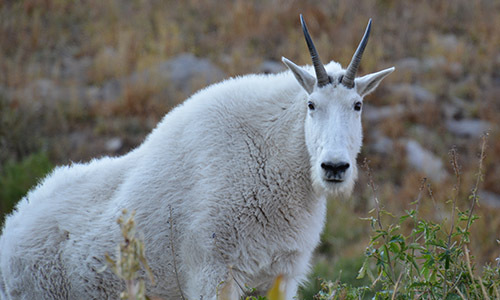 Gawain is the General Manager of the Uintah Basin Water Conservancy District. Edwin is a life long farmer running a dairy farm and raising turkeys. Edwin is a member of the Utah Farm Bureau and has served 30 years for Sanpete County and 10 years on the State Board of Directors. He has been serving as Chairman of the Sanpete Water Conservancy District for the past 15 years. Byron Woodland is a dentist and a County Commissioner for Juab County. He currently serves on the Community Development Block Grant Policy Board and Six County AOG Executive Board. Boyd Workman has been a farmer and livestock man for 50 years. He currently serves on the Board of Rural Water of Utah. Boyd was General Manager of Ashley Valley Water and Sewer Improvements District, has served on the State Drinking Water Board, Board of Island Ditch Irrigation Co, and Ashley Valley Sewer Management Board. The Central Utah Project Completion Act (CUPCA), PL-102-575, was enacted by Congress on October 30, 1992 directing Central Utah Water to complete the Central Utah Project. CUPCA provides for the planning, NEPA compliance, design and construction of the features to complete the Central Utah Project. 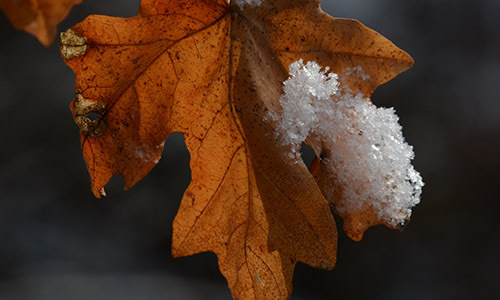 Environmental mitigation and conservation are implemented along with conservation measures. The water supply created by CUPCA through construction and conservation will supplement water supplies to the communities of Utah within the District boundaries. 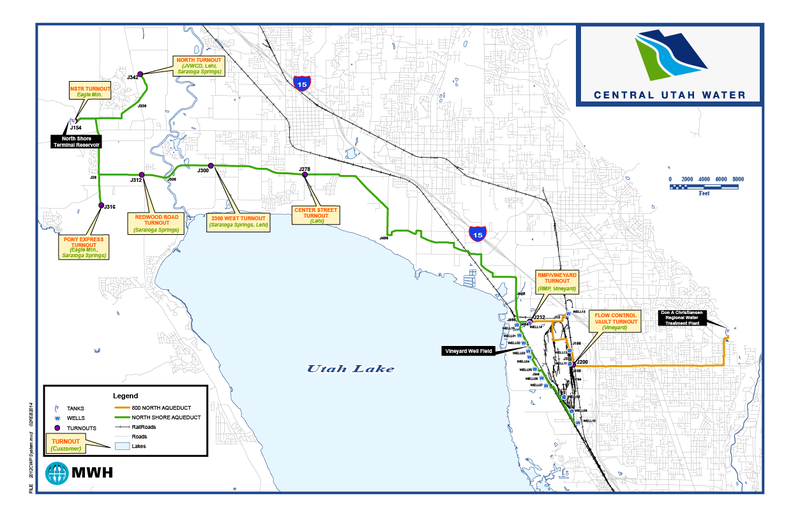 Central Utah Water Water Development Project, or CWP, will provide approximately 53,300 acre-feet of high quality culinary water and approximately 10.500 acre feet of secondary water to customers and communities located northern Utah and southern Salt Lake counties. In 2005, Central Utah Water purchased from the former Geneva Steel Company approximately 42,400 acre feet (AF) of water rights and other water-related assets. By combining these groundwater rights with surface water rights previously purchased by Central Utah Water over the years, Central Utah Water is now able to sponsor the CWP, a project that will provide a reliable water supply of approximately 63,800 acre feet annually under full development and that is projected to be developed over 25 years. For more information on which projects are open for bid from Central Utah Water, please visit our official bid page. The district is currently in the early phases of the Olmsted project. For more information, please follow the link to the official project page. For more information on the Olmsted Dedication, please visit our Olmsted Dedication Page. Central Utah Water is at the forefront of water conservation efforts in Utah. As the steward of the water resources in the 8-county jurisdiction we serve, part of our responsibility is to conserve water for both current and future generations. In everything we do, from construction and maintenance, to administration and education, water conservation is our highest priority. Rebates are offered to the District's serving area for water-efficient irrigation products. Visit the rebate site for more information. The CWP generally consists of a 36-inch pipeline that conveys treated surface water from the Don A. Christiansen Regional Water Treatment Plant (DACRWTP) west to the Vineyard area where it will be mixed with high-quality groundwater from Vineyard Well Field. The mixed groundwater and surface water is conveyed in the North Shore Aqueduct (NSA), a 60-inch pipeline, northwesterly to the North Shore Terminal Reservoir, a 40-million gallon terminal storage reservoir located in northwest Saratoga Springs. Deliveries from the NSA are made to Vineyard, Lehi, Saratoga Springs, Eagle Mountain, and Jordan Valley Water Conservancy District. 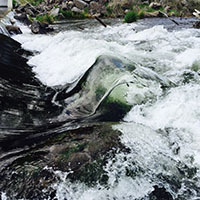 As demand requires, the Cascade Pumping Station and Cascade Aqueduct will be constructed to convey untreated surface water from the Provo River to the DACRWTP. Each water treatment plant utilizes a comprehensive maintenance program to safeguard each process from equipment failure that could lead to plant disruption or threaten water quality. Protecting public health through continuously delivering high-quality drinking water requires a well-trained and dedicated staff committed to total water quality. Central Utah Water, in its role to develop water resources and meet the water requirements of the counties within the District area, has built and currently operates water treatment plants, wells and storage facilities in Duchesne, Uintah, and Utah counties. These facilities provide dependable, quality water on a wholesale basis to meet the needs of communities, ensure public health, and maintain public trust. Our treatment operation personnel are committed to providing safe and reliable water to each of our customer agencies. 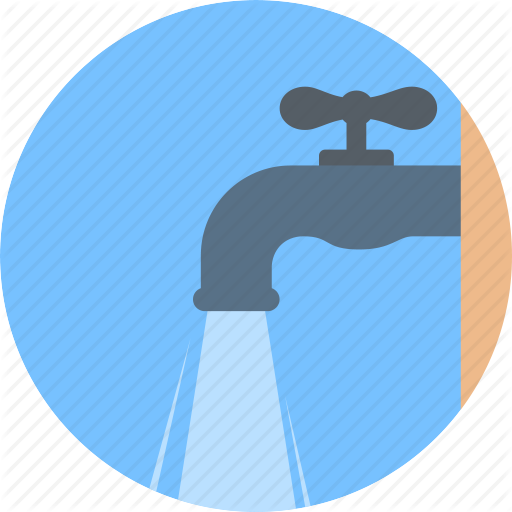 The District considers protection of our sources of water we treat as the first effort to providing high quality water. The District participates in professional association, supports research projects, and continues efforts in water quality excellence through the Partnership or Safe Water program. We participate in watershed monitoring programs such as the Provo River Watershed Council and sample raw water from each of the sources to our treatment plants. 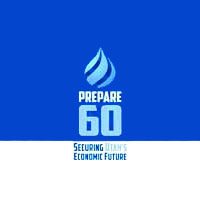 Prepare 60 is a plan prepared by the Utah Division of Water Resources and the major Water Conservancy Districts in Utah . The plan is to prepare for substantial population growth by replacing and repairing infrastructures, reusing water and water transfers, and developing new infrastructure and water supplies. To learn more about the project, visit the website.